The Definite Purpose family of motors captures a host of variety demanded by the marketplace. These motors include TEFC and ODP Two-speed motors, as well as single phase Pressure Washer motors. This group of specialty motors includes Arbor Saw to Woodworking, Pre-1952 NEMA motors to SAE Hydraulic Pump motors. 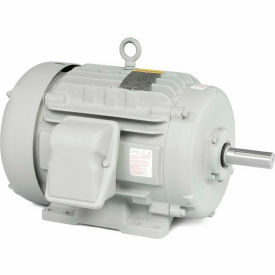 An extensive line of TEFC and ODP F-2 motors are available as well in 1 Hp through 60 Hp. The Automotive Approved motors, approved by major US automobile manufacturers, are available in cast iron designs and meet all requirements for sound power levels. A broad line of Design D Oil Field Pump motors, requiring high torque and high slip, are available in 3 Hp through 150 Hp. For use in plants requiring Automotive Approved Motors on pumps, compressors, fans, conveyors, machine tools and other applications.